Retired boxer Floyd Mayweather demonstrates how to throw one of, if not the most important punches in boxing. Mayweather announced his retirement from the sport earlier this year following a boxing match he won inside the distance against UFC fighter Conor McGregor in Las Vegas. 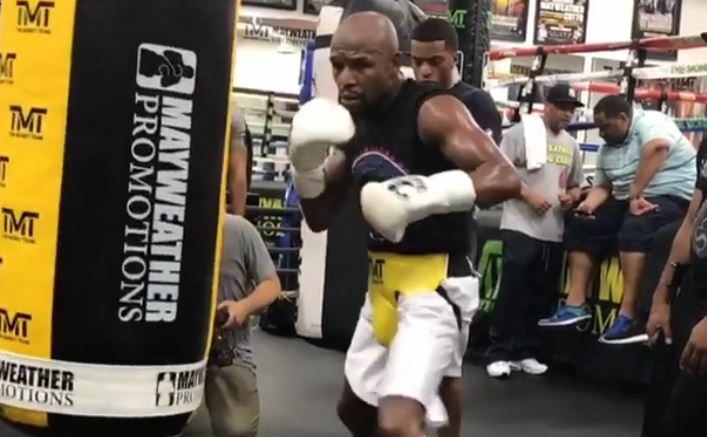 Despite that, some have suggested that he may in fact have one more fight in the sport and even his own YouTube channel recently asked members of the Mayweather Boxing Club would they like to see him fight one more time. Mayweather was always an advocate of the jab, as was his father Mayweather Senior in his coaching style. Often emphasising it’s importance in the sport of boxing. Used as both a range finder and as a weapon to set up attacks, Mayweather perhaps used it more so in his early career than in the final stretch — where he used more pot shot lead right hands as opposed to combinations set up by the jab. One would suspect the above video is just a simple social media post, nothing more. It’s hard to see who Mayweather would fight if he were to comeback. Never say never in boxing, however.